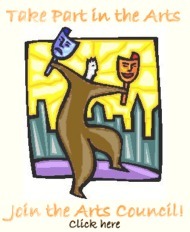 The PNC Arts Council is a multi-cultural, local arts organization that serves a rural, progressive Mississippi community. The organization, incorporated in 1978, is open to all those interested in supporting and promoting the awareness and understanding of, as well as the participation in, the arts and cultural heritage. All Council activities are open to the public. To stimulate and encourage the awareness, study and presentation of, as well as the participation in, literary, performing and visual arts. Membership is open to all area residents, individuals, businesses and corporations.